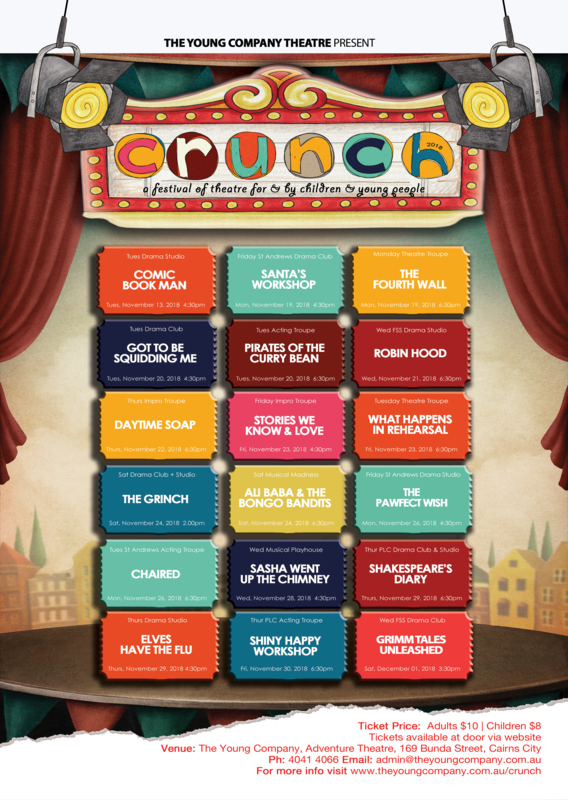 Come along to TYC this November for some theatrical fun and celebrate our children and young people’s creativity at TYCs annual Crunch Festival. Students will be performing both fictional and non-fictional stories and events, and some of their own creations too! ​Tickets to all shows will be available at the box office 15 minutes prior to the show or can be purchased via our online store below. Please click here to download the Tech / Performance Schedule for your child. Click here to download the 2018 Festival Poster! !